Synapse films just announced 2 new titles as part of their upcoming Blu Ray releases in March. 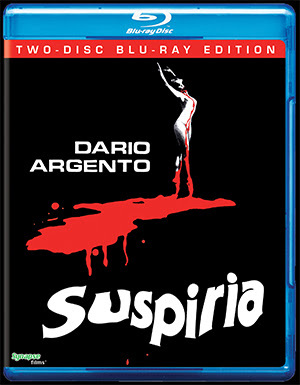 First up is Suspiria, this time in a standard 2-Disc edition. 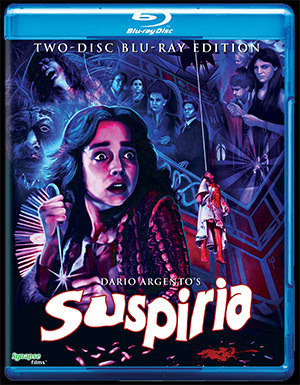 As you know, Synapse recently released the much publicised Suspiria for the very first time on Blu-Ray in the U.S. in a gorgeous and highly impressive Steelbook Edition, complete with Goblins incredible score. Not surprisingly, the set sold out and flippers are having a field day with it on the secondhand market. But we all knew it was only a matter of time before Synapse would announce a "Non-Steelbook" edition that was a little more wallet-friendly to those of us on a budget. Well that time has come, and while this new release isn't exactly cheap, it's a little cheaper than what the Steelbook was going for. Just looking at the specs, this release looks to have all of the exact same technical details as well as all of the Special Features imported over from their previous Steelbook, just without the score and in a standard Blu-Ray case. SYNAPSE FILMS BRINGS THEIR 4K RESTORATION OF DARIO ARGENTO’S UNDISPUTED PSYCHEDELIC MASTERPIECE SUSPIRIA TO BLU-RAY! Fresh off an historic theatrical tour and following a sold-out run of limited edition Steelbooks, Synapse Films is finally bringing the widely celebrated 4K restoration of Dario Argento’s beloved and extremely influential SUSPIRIA to the masses. 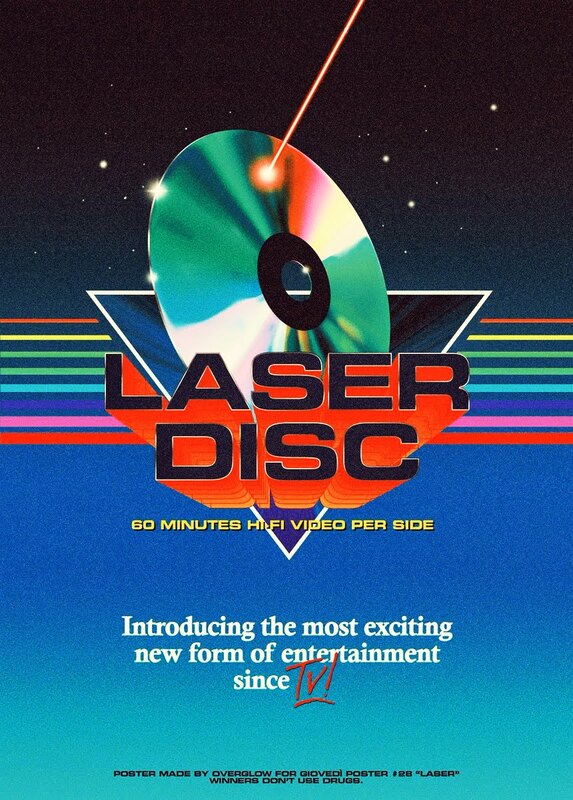 This highly anticipated genre release boasts a host of new special features in addition to the eye-popping new transfer of the film that will allow fans to truly see the film the way it was always intended. Jessica Harper (PHANTOM OF THE PARADISE, PENNIES FROM HEAVEN) stars in this horrific tale of a young student who uncovers dark and horrific secrets within the walls of a famous German dance academy. What spirals out from that simple premise is one of the most powerful and hallucinatory nightmares ever captured on celluloid! Dario Argento’s SUSPIRIA comes to home video from Synapse Films in an exclusive new 4K restoration from the original uncut, uncensored 35mm Italian camera negative with the original 4.0 English surround sound mix, for the first time EVER! Painstakingly restored over the past three years, Synapse Films has created the ultimate special edition of this horror classic with the supervision and approval of the film’s Director of Photography, Luciano Tovoli. Definitely be sure to snag this one because having grabbed the Steelbook myself before they sold out, the transfer is absolutely stunning in a way you would never have expected. Not sure if this will ultimately sell out as well, but it's definitely worth the price in my opinion. 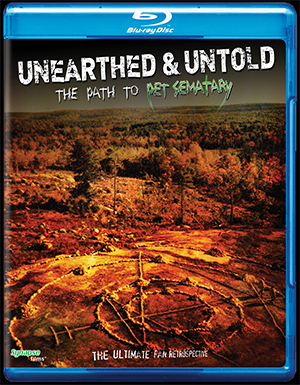 Next up is the excellent documentary Unearthed & Untold: The Path to Pet Sematary. I recently had the pleasure of catching this on Amazon a few months back and I can say that it was every bit as entertaining and informative as I hoped it would be. Writer and directors John Campopiano and Justin White have meticulously put together an exhaustive compilation of information that is all things Pet Sematary, from the books inception to it's transition to the big screen and it's production. No stone has been left unturned and Campopiano and White have done a killer job on this documentary. If you love the book, the film, the actors or are just a casual Stephen King fan in general, this is a MUST WATCH. In 1989, director Mary Lambert collaborated with King of Horror Stephen King to bring his best-selling book PET SEMATARY to the screen. The shocking true story behind the film that scarred a generation of impressionable young genre fans gets the royal treatment in UNEARTHED AND UNTOLD: THE PATH TO PET SEMATARY. Aficionados of this undead classic can dive behind the scenes in HD glory, with a graverobber’s bounty of bonus features! It’s true that sometimes dead is better, but for two New England filmmakers, the story of Stephen King’s PET SEMATARY was far too alluring to leave buried. That’s why John Campopiano and Justin White spent nearly five years seeking to uncover the story – from book, to film, to cult status – amounting to the most comprehensive look at the horror classic ever produced. UNEARTHED AND UNTOLD: THE PATH TO PET SEMATARY is both an in-depth independent documentary and celebration of King’s classic tale of terror, told through the voices of cast and crew from the 1989 hit film, as well as locals in Maine – the place where it all started. In addition to first time ever interviews, tours of the many iconic locations used in the film and never-before-seen photographs and home video from the set, this film explores the impact PET SEMATARYhas not only on horror fans, but scholars of Stephen King’s work. Featuring interviews with director Mary Lambert, stars Denise Crosby, Dale Midkiff, Miko Hughes, Brad Greenquist, Andrew Hubatsek, Susan Blommaert, the Berdahl twins, Michael Lombard and MANY MORE! Suspiria and Unearth & Untold: The Path to Pet Sematary are set for a March 13, 2018 release. You can pre-order either of these titles directly from the Synapse Films official website, or any of your preferred online retailers.